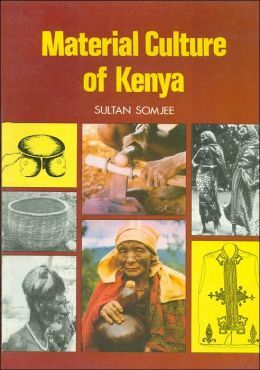 I started working on Kenya’s material culture in early 1970s at the Institute of African Studies, University of Nairobi. My work centered on collecting, exhibiting and teaching that did not involve the communities whose artefacts I was gathering and using. They were the subjects of research not the participants. Then twenty years later in 1994, having collected thousands of objects, made over twenty exhibitions ranging from ten to sixty items, and having worked among many ethnic groups, and also having taught and introduced the teaching of material culture in the school curriculum, I began working on a Kenyan Material Culture Project with a different goal. The difference was on the focus that changed to the role of material culture in inter-ethnic face-to-face meetings. 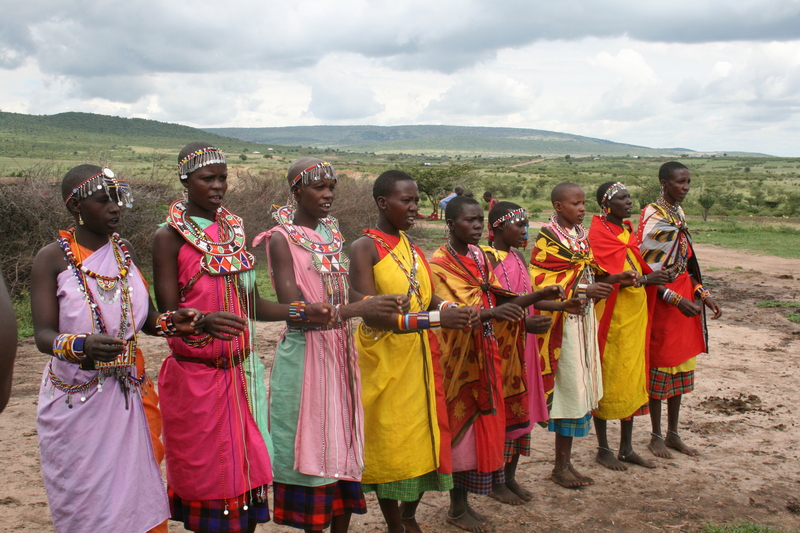 The project covered eight pastoralist groups. It was at the National Museums of Kenya where I was the Head of Ethnography that we began exploring knowledge of peace building that inhabit cultural memories. 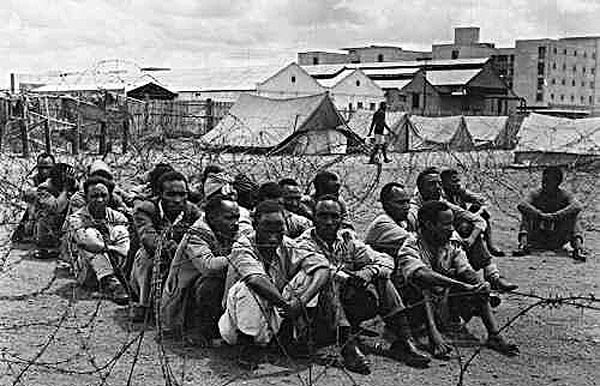 We discovered varied styles of dialogue and reconciliation rituals in midst of horrendous conflicts, some of the worst ever known in eastern Africa. Five staff members (Sami, Rigano, Cheptum and Kasagam) from ethnic minority groups in the north, produced the first material after their visits home, by studying the Jean Brown Collection at the Ethnography Department at the Museum, and from their memories. 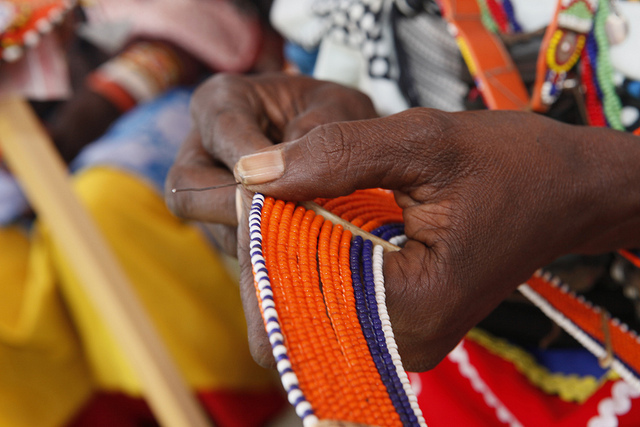 This material became the nucleus to develop the new Kenyan Material Project that was initiated in 1994. Based on what we learned, we began experimenting with drama, storytelling and displays of cultural artifacts. The first essays were written by the five staff that I used as models to train others. 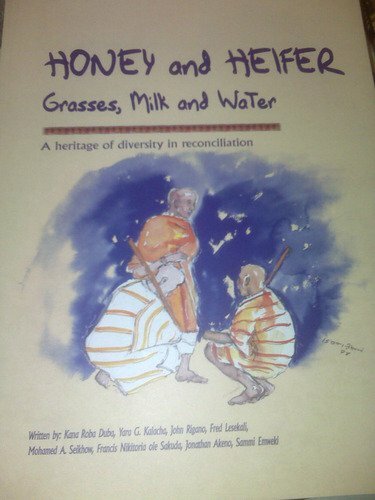 (Two of these essays were later compiled with others in the book called Honey and Heifer, Grasses, Milk and Water: A Heritage of Diversity in Reconciliation, 1997). We were not peacemakers but rather seekers who picked up information from visual and oral cultures of the people perceived to be in conflict because of their ethnic cultures and lifestyles that were close to the land and animals. We then documented this information, organized and presented it back to the communities to foster conversations both within and across ethnicities. We kept the exhibitions participatory that increased manifold what we had assembled. Many stories about reconciliation were told. This was an exercise in self-education for me and my eight filed assistants from eight diverse language and cultural groups of Kenya: Understanding how peace was constructed in community cultural spaces and how, if made known at the time of turmoil, would be a statement from the communities in conflict giving an alternative view to the citizens. Such a statement would contest their image as ‘warriors’ involved in ‘ethnic cleansing’ that frequently appeared in the media and was spoken of loosely in common talk and by politicians. But mostly it would be for each other to invoke and ascertain their unique cultures of peace that each one shared. We focused on material culture because in societies that do not preserve knowledge and their world views on paper, one way they do keep memories alive is in their artefacts that are seen, touched and felt. We paid attention to those articles that evoked feelings and those that built relationships. For example, objects like headstools, patterns of beauty in beadwork, the peace staff and the peace tree. All these items are richly embellished in oral literature – narratives, songs, proverbs and metaphors. Most importantly handing over of objects from one generation to the next has been a tradition. In this inheritance are carried stories and emotions. 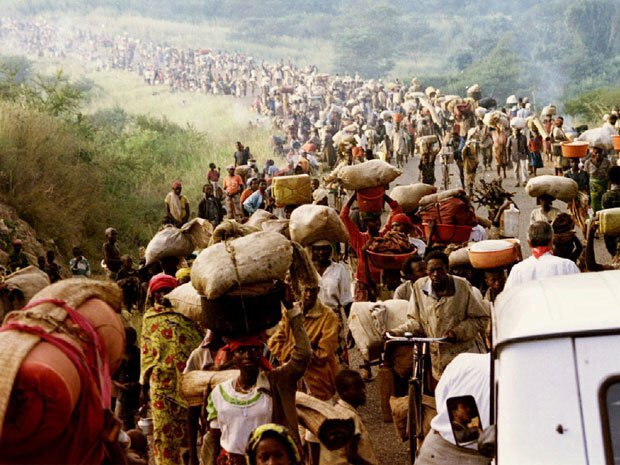 Post-independence decades were characterized by unprecedented violence, and then there were massacres from Rwanda to the Sudan, Somalia and Kenya. Suddenly, nations had frail governments outside their capitals. African pre-colonial and local ways of sustaining the wellbeing of village societies were falling apart due to new wars, new strategies of control used by the central administrations, new weaponry and simply, inhumane governance. Styles of peace making and reconciliation methods, which had been culturally intelligible and acceptable, became increasingly unfamiliar, especially to the youth. The regime lessened the status of the local peacemakers, and the established ‘modern’ processes of conflict resolution in order to have direct control over what it called ‘instability’. 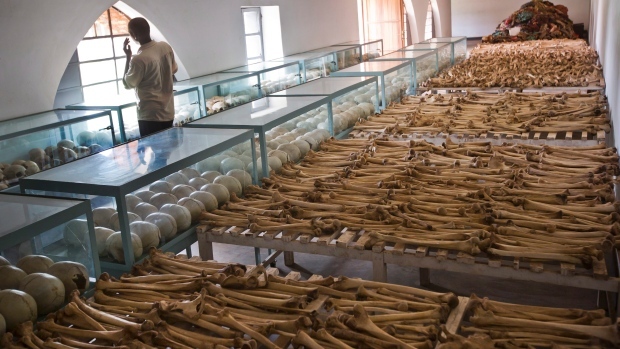 Rows of human skulls and bones form a memorial to those who died in the 1994 Rwandan genocide. 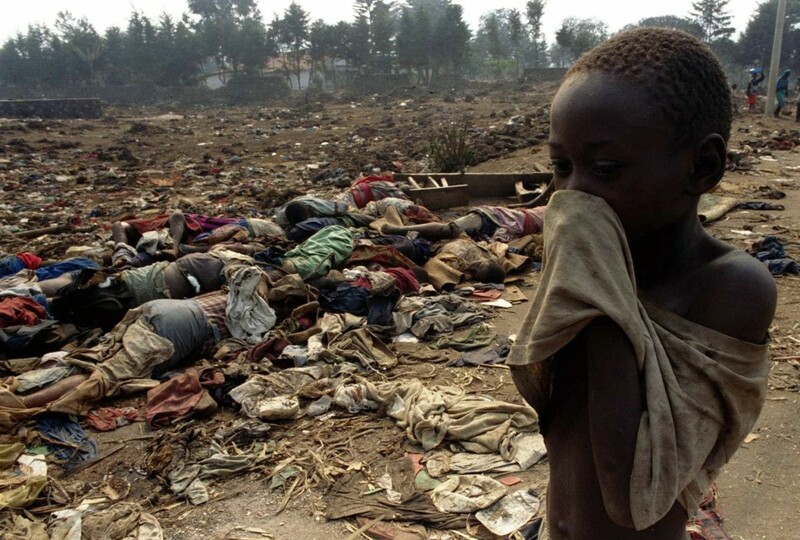 About one million were killed in Rwanda within 100 days. A legacy was losing esteem. This resulted in breaking down the fluidity that sustains the customary inter-ethnic relationships among neighbours who share markets, speak each other’s languages and even inter-marry after settlements of previous discords. Since times immemorial conflicts had been there and they were cyclical with varying periods of peace in-between. But so were resolutions that allowed the return to normalcy, and restoration of inter-ethnic exchanges that benefitted all. 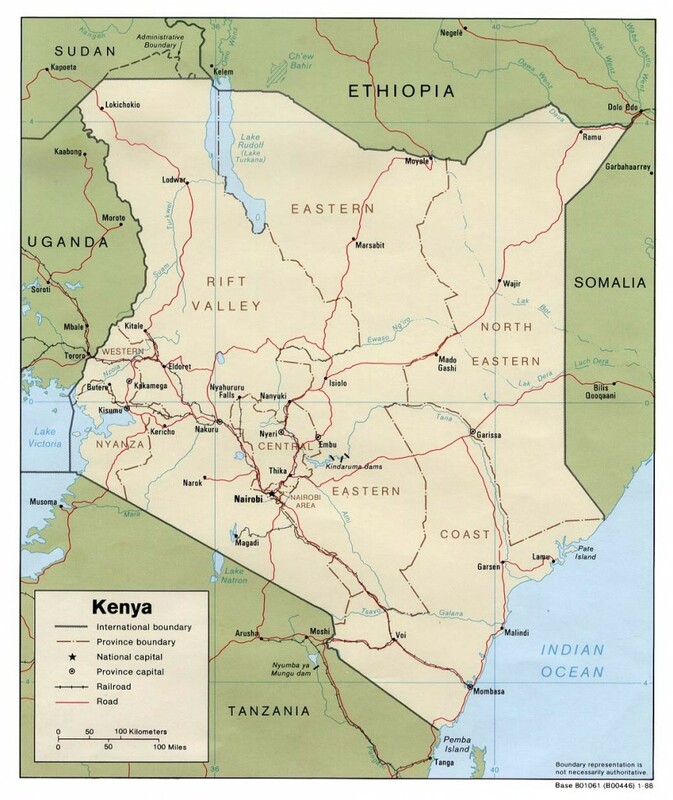 Among some ethnicities in northern, central, coastal and western Kenya, as well in urban working class areas, shifting identities became fixed because of issues that the politicians could not or would not resolve for years. That’s when inter-community that is, people to people, communication halted. Long standing walls of suspicion and fear between them became harder to break. Consequently, the transference of generational remembrances of honoring peace, and celebrating it through the arts, fluid as they are crossing boundaries, weakened. This was the situation in areas where the Material Culture Project operated. I began with the tangible in societies that are highly visual and oral. 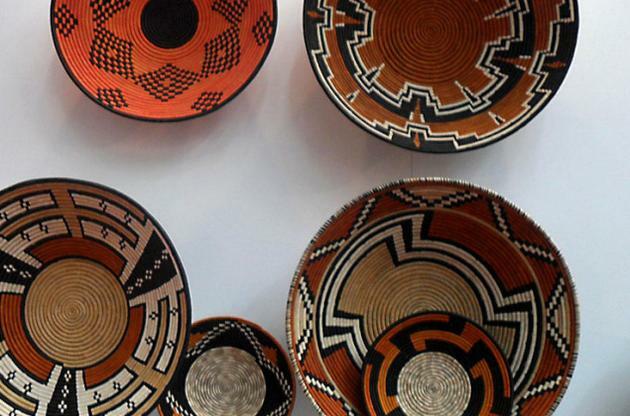 I began with the material culture of Kenya that I had known and had some working vocabulary of it in the languages of the groups among whom I had lived and worked. From there I worked into oral traditions – songs, rituals that hold memories, proverbs and metaphors around community crafted and revered artifacts. These objects recalled how peace is made and venerated. How the visual and tactile shaped words that stirred remembrance that touched the hearts. They said they knew the bead and the wood that spoke to them. The senses brought to the fore distant reminiscences of events and places where they had made peace with the neighbours. Hence exhibitions were central during our meetings and training of the youth. Generally, very little was known and appreciated about traditional mechanisms of conflict management outside the borders of the particular communities. 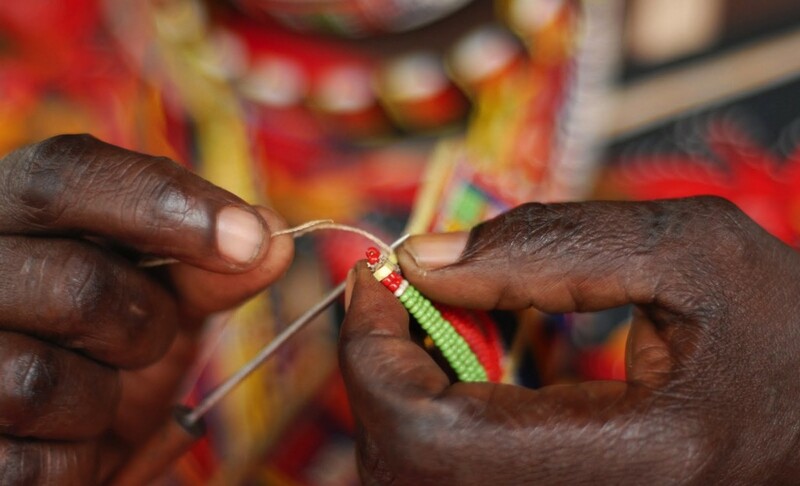 The experts who came to train young Kenyans in the workshops were often from overseas and they used resources from their cultures and histories. 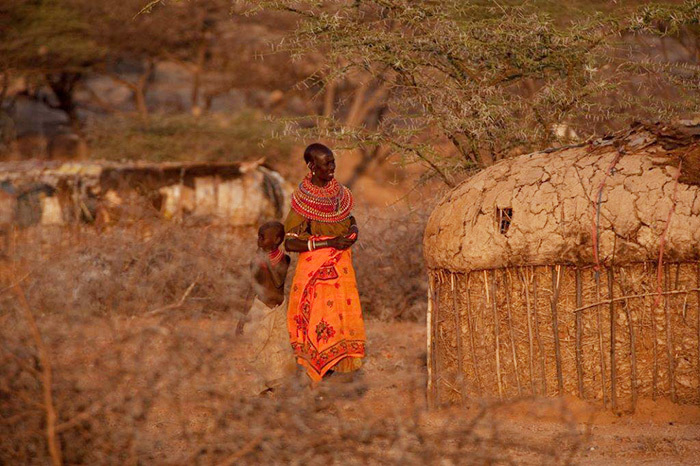 To the pastoralists, the Kenyan government officials were not any different from the foreigners. They were just as alien. In the rhetoric of the ministers little was said about how hundreds of villages sustained their wellbeing, and how they worked through reconciliation and healing after skirmishes. People were viewed as creators of conflicts, and the government as the one that resolved them. However, the reality on the ground (as indicted by several independent reports) was just the opposite. The people knew that, but tied to ethnic loyalties, they protected their leaders in government. Or due to fear they remained quiet. Sometimes, they would allow themselves to be manipulated by the power-elites for little material gain because of poverty. Sometimes, they faked reconciliation rituals sponsored by the NGOs, and enjoyed the free meat of the sacrificed bulls. Since independence in 1963, African cultural values in Kenya have been valorized in nationalist hectoring. However, the rhetoric was often selective, subjective and largely uninformed. 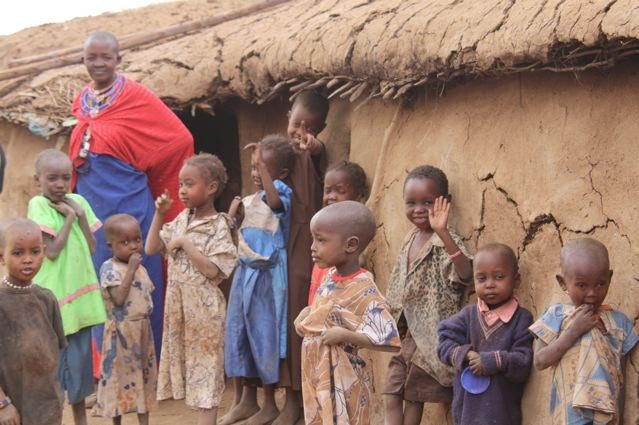 The Swahili word Utu, for example, spoken differently in different languages, is the core cultural concept in many traditions, combining social wellbeing, community bearing and humanistic values. It was not even mentioned by the government. The peace tree that we discovered by accident during the meetings, is a widely accepted and respected shared symbol. What the people would sing and dance on national days was programmed by the Ministry of Culture whose sole function was to adulate the dictators. National cultural displays degenerated into mechanistic venerations of the presidents or, as in the case of Harambee rallies, it was veneration of the local elite-politicians. Or if not, they became showcases for entertainment of tourists. Quietly, meanwhile, the Kenyan Material Culture Project, renamed Community Peace Museums Project (CPMP), began documenting conflict resolution traditions that could be described and talked about primarily at workshops that centred on the arts, namely material culture and around it the songs and stories. These meetings became the classrooms for the young CPMP trainees who began drawing and writing, reflecting and communicating with each other at seminars. 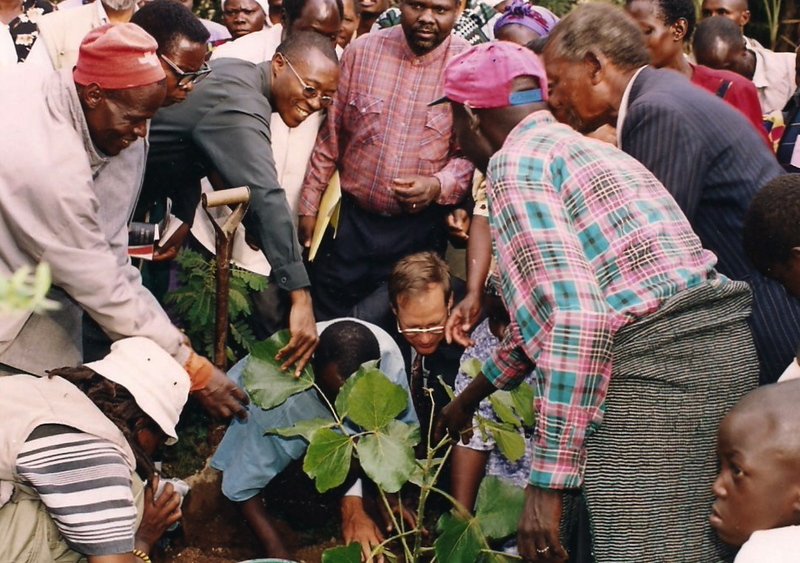 From 1998, the project expanded to cover more groups and also incorporated agricultural communities. Kenya’s diverse cultures are essentially pluralistic, independent, highly participatory, shifting and anchored in communities’ oral and visual memories. The new order put in place soon after independence retained these as cultural forms but it adulterated the social content in the arts turning them into political performances. Often the celebratory arts gave prominence to the heritage of the first president’s ethnic group. Exclusion of the rest or giving them little importance in the nation’s view and the national media that trailed the president surrounded by women’s dance and song choirs, created the ‘Others of Kenya’, especially those ethnicities in silent opposition. Sadly, that blocked the inter-ethnic meetings of cultures that new technology like the television offered nationally. Similarly, and most significantly, styles of conflict resolution sought to marginalize the wisdom and memories of people’s ability to resolve their problems and ultimately that created a culture of dependency on the state. 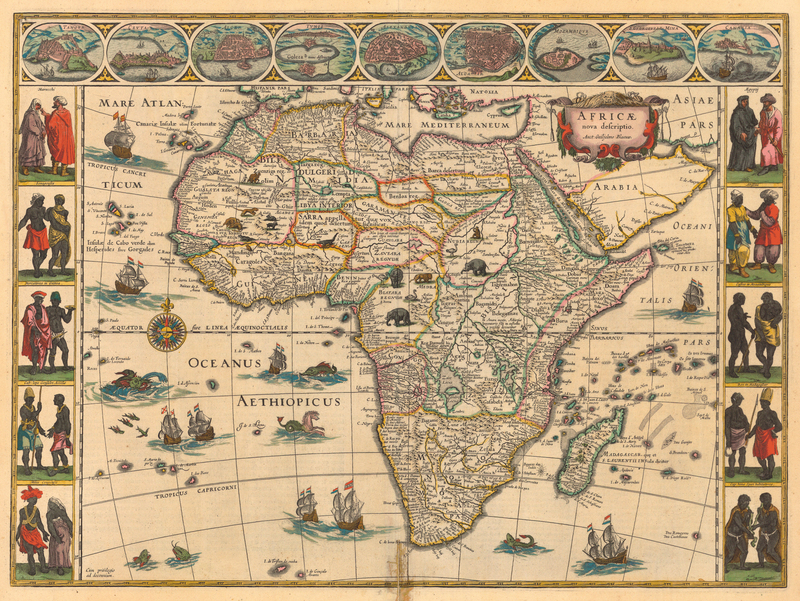 The state was primarily the rule of a single party and its base was in a single ethnic group. But pockets of cultural spaces grounded in community participatory arts contested with the one party state that had neither the instruments nor institutional memory or historical and cultural knowledge about grassroots negotiations and closures. With this awareness, Community Peace Museums Project (CPMP) began recording and holding meetings where different ethnicities displayed and informed each other about their heritages. Previously, for three years I headed the Ministry of Culture’s Material Culture Section of the vast and intense Social Cultural Profiles Project that addressed government officers not the communities. Clearly, the government had no desire to work with the peoples’ collective knowledge, ancestral memories and how proudly the communities would share their practices with each other. 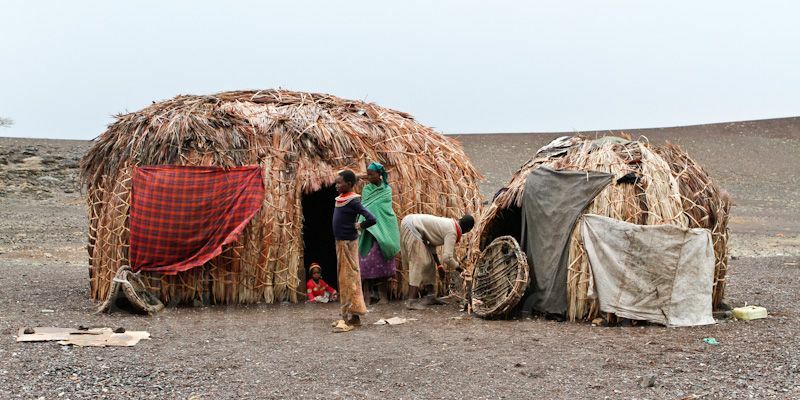 That mattered because acknowledgement of a people’s s culture helps to overcome the humiliation that I had observed the government officers levied on the pastoralists who were generally traditional in their beliefs, attires and the economy. 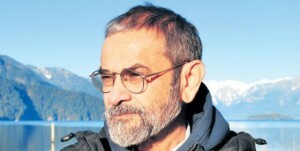 In enforcing their methods, the regime became increasingly authoritarian and even brutal. When it felt insecure, it used the military against the citizens. It was like it wanted to punish them collectively as an ethnic culture. In the Northern Frontier Province (NFD), for example, imagery of Mau Mau type detention camps is etched in tales of horror. It is so deeply imprinted that this collective remembering will stay for as long as the sites are not acknowledged by the nation and marked on the ground as historical monuments or peace museums, and an apology offered by the President. The nation must know how so many suffered, and how women gave births behind barbed wires. That is our history and the history that gives us our Kenyan identity. Such places dot the countryside. 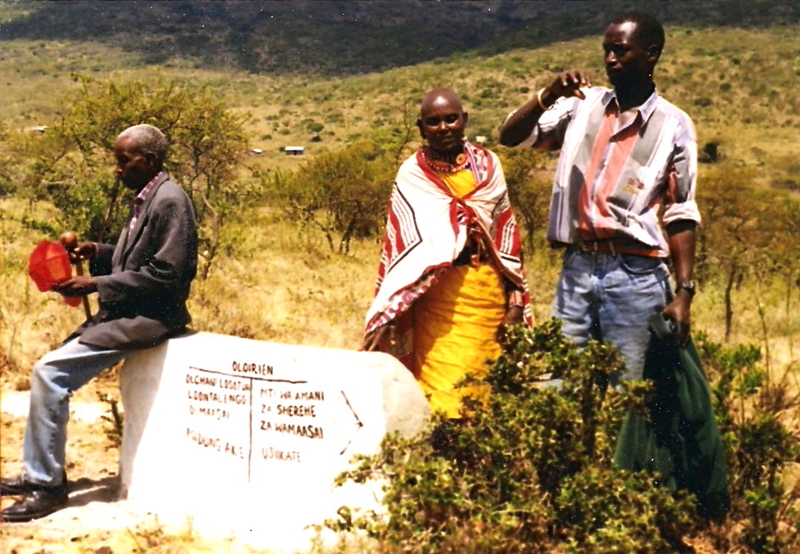 At Chapararia in West Pokot District, for example, where the government had mercilessly tortured some young men, and then left them to die in the open, the community has marked the bloodied ground with large white granite stones. They say it’s ‘to cool the earth angered by blood’ and heal themselves. However, the Pokots are waiting for a closure that is both culturally intelligible and acceptable to them so they may feel justice has been served. The brutality, meted out partly to deflect voices against hierarchical corruption, and partly to suppress rising class consciousness, stained deeper into the memories of humiliation suffered by several ethnic groups during the pacification campaigns of the colonial era. Consequently, neocolonialism led to obscuring Kenya’s long standing reconciliation reminiscences of events that were already slipping away from communal awareness of who they are, and speech, especially among the youth. Humiliation inflames hate that the politicians thrive on. Peace Tree Olorien (the African Wild Olive) memorializes Maasai heritage of dialogue and reconciliation at Olosho-oibor in the Rift Valley of Kenya. In the month of March we commemorate the 2002 massacre in Nairobi’s Kariobangi Korogocho twin townships. There is no doubt that the massacre was caused by hate planted in youthful heads. What else could it be when so many were hacked with machetes for no reason? It’s twelve years today and not one person has been called to justice. Community Peace Museums followed the incident, and generated conversations working with the youth at an arts festival. It was one more community participatory journey for the young curators. Local talents converged from the sprawling townships of Nairobi’s undercities around the area covering some 100,000 residents, and they performed for everyone as one people. The spirit of goodwill towards reconciliation spread. Then the two communities who are mostly the working class, the backbone of Nairobi’s industrial and service sectors, exchanged peace trees remembering what the plants meant to their parents, and how they symbolized communal welfare in the collective consciousness of their separate ethnic homelands. 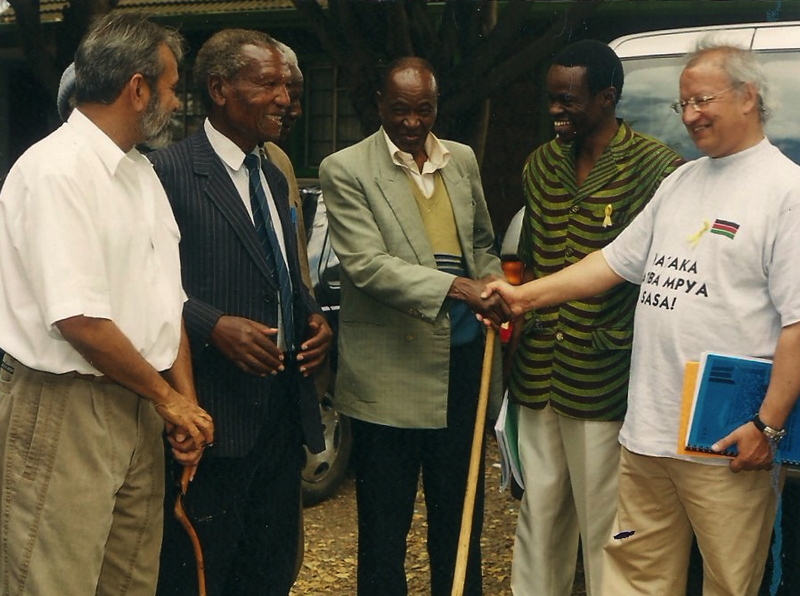 Sultan Somjee with the Pokot of North Western Kenya. 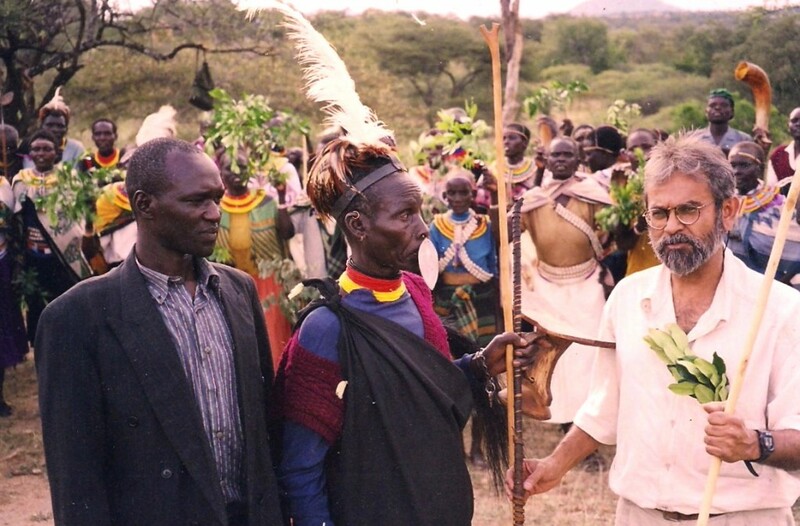 The elder is holding a peace staff and presenting leaves of the Pokot Peace Tree. How they celebrated the tree with deep roots and green foliage remembering the villages where they were born. That is the culture they know, they recalled. Later they created a peace garden on a little corner plot in a local compound lest the night of the slaughter was forgotten. Lest the children of Kariobangi Korogocho repeated what they had done to their fellow citizens and what was done to them. Would this be the first such a peace garden in Kenya planted by a community after a massacre to remind them that such an occurrence does not happen again? If yes, then we need many more, at least one in each of the 47 regional counties, so we may rest under the shades, and reflect on how we suffered. Then, we may ask each other when it would be the time to walk together on a journey to reconciliation. 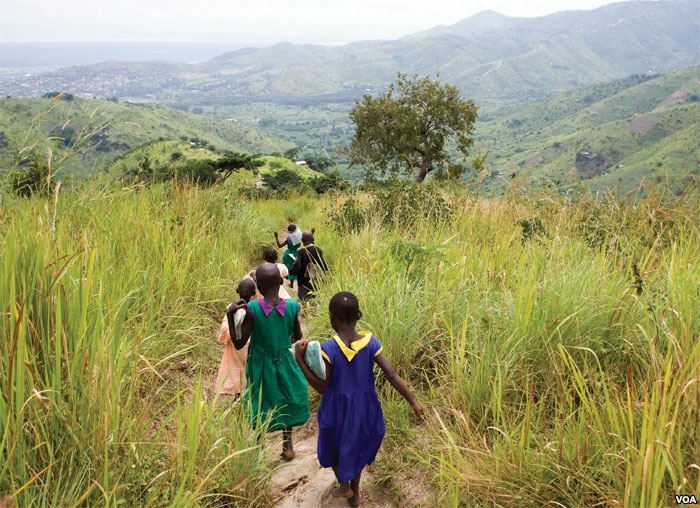 That journey may lead us to visit grassroots civil societies such as that of the maweto women at the Akamba Peace Museum who sing and dance like they are performing to change the community that relegates them. 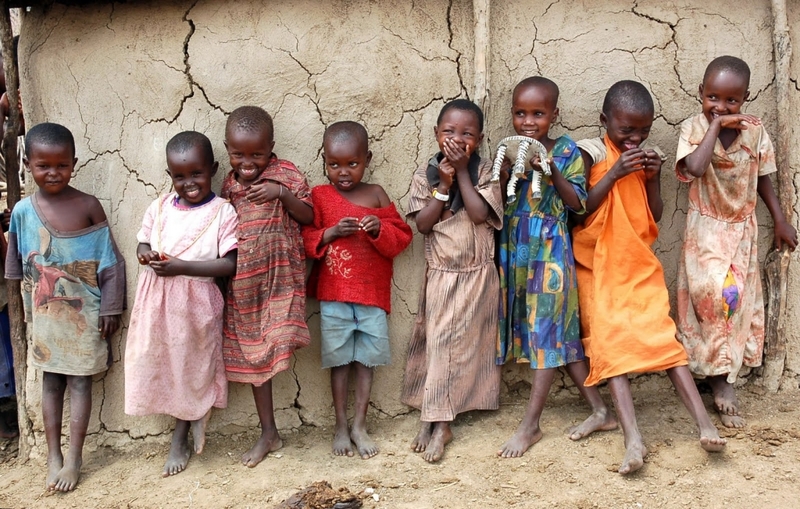 Or, to the Akorino community who say non-violence is a principle of social living and they practice what they say. 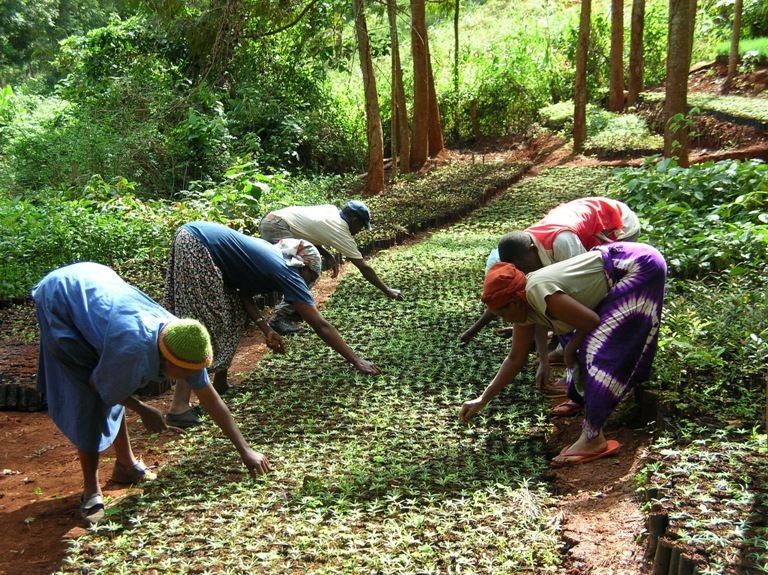 The journey may take you to the elder-youngster team that nurtures peace tree seedings at Aembu Peace Museum. From their nursery, you would see trees sprouting in schools around the district. The trees are watered and cared for by students who have visited the peace museum and listened to the stories and songs. At the museum they saw their own Aembu material culture put on the pedestal and pictures of the peace makers from their community. The museum person talked about Aembu peace heritage in Kiembu, and how to join their journeys with many more across Kenya. It was in November, 1998 that the concept of a peace museum in Kenya was first presented at the 3rd International Conference of Museums for Peace in Osaka and Kyoto, Japan. However, it was not until 2002 that we drew up a constitution and Community Peace Museums Heritage Foundation (CPMHF) was born. Finally, we registered the Foundation so that we may continue working with the fading remembrances of people-centred conflict resolution, and in that, strengthen the status of the civil society in rural Kenya (civil society may not be only urban school educated middle class). 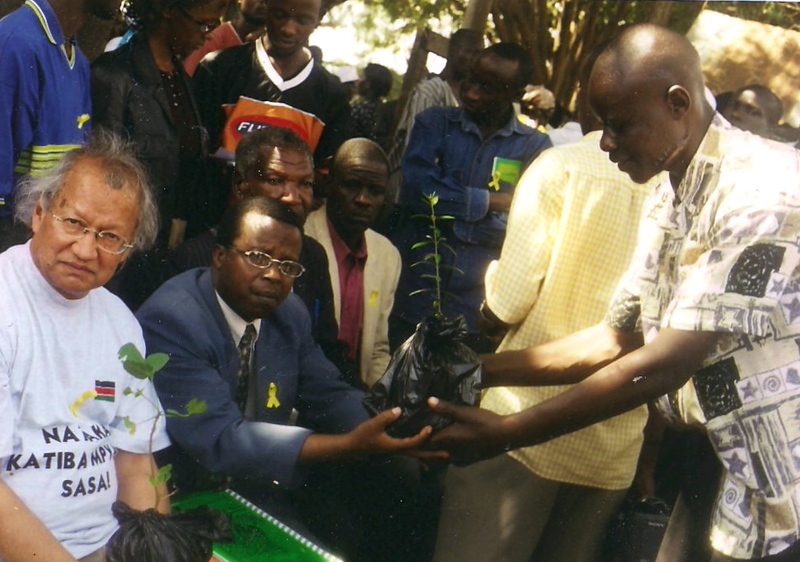 Professor Yash Pal Ghai who headed the Constitutional Review Commission is presented with a Peace Tree with other elders by an injured survivor of the massacre. We felt confident then in 2002, after almost a decade of research and gathering of resources. However, the most important reason for registering the Foundation was that we had built sufficient trust among diverse religious and ethnic communities across Kenya away from the reach of the politicians. Though small in numbers, it was an indication of how the CPMHF experience could be replicated and grow. It was also possible to register the Foundation then because a committed team of young field researchers and curators were now trained, and ready to be independent to work in their own communities, and nationally under the umbrella of their own Kenyan Foundation. 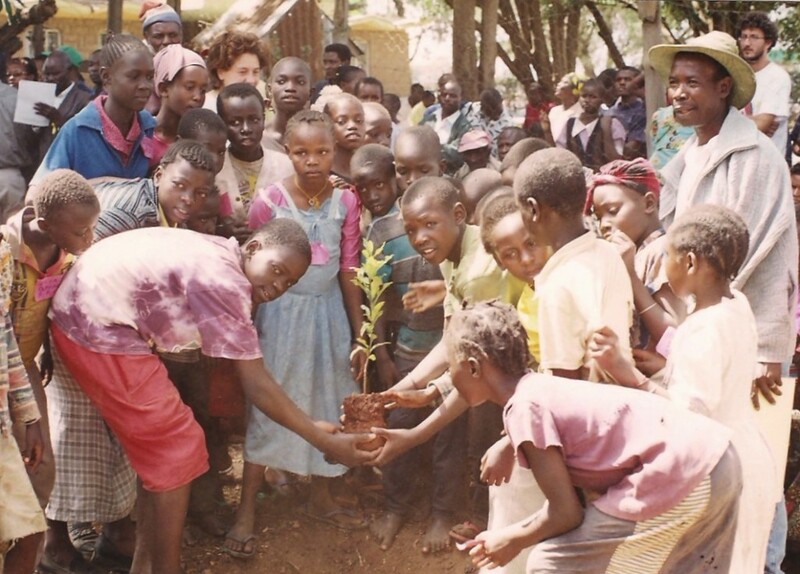 We sincerely thank the Mennonite Central Committee (MCC) in Kenya for sponsoring our work from 1994 to 2003. Tangaza College of the Catholic University in Nairobi for accepting our young trainees who are now graduates in peace studies and community work. The National Museums of Kenya where we were able to stage exhibitions and elicit conversations with the urban society. Hans Siedel Foundation of Germany for sponsoring the workshop and exhibition at Kitale Museum. Finally, the Creative Force Programme of the Swedish Institute in collaboration with the Cultural Heritage without Borders, for lifting CPMHF up from the dry spell, and giving vitality to its work that has blossomed into Journeys of Peace Exhibition. The Exhibition has been travelling, and presenting opportunities to engage in face-to-face communication across post-conflict Kenya. That was how we had started with a nucleus project twenty years ago. The conversations elicited by Journeys of Peace Exhibition close the ten year period of resilience of the curators of peace museums who never lost sight of their path through the valleys and hills of their own lives, and the span of CPMHF. Now under the new 2010 Constitution of Kenya (Art. 11), there is finally an opening in retrieving, assembling and exhibiting the nation’s social remembering of how conflicts were/are resolved, both ancestral and current, both among citizens holding high cultural maintenance and those in transition. We felt inspired about this possibility when the Commission writing the new Constitution of Kenya, invited us to participate at their conferences. In displaying its work, CPMHF provides a window to look into the nation’s cultural spaces where peace resides. These spaces sustained, and may still be sustaining multiple civilizations, a heritage that would stir the hearts of the young. The present co-ordinator of CPMHF is Timothy Gachanga (PhD candidate) timgachanga@gmail.com Committee members are Stephen Njiru (BA) stekaranja@gmail.com and Munuve Mutisya (BA) markmmutisya@gmail.com. The patrons of CMPHF are: Prof Peter van Dungen (Peace Studies, Bradford University), Br Alberto Parise (Tangaza College, Catholic University, Nairobi) and Elsbeth Court (SOAS, University of London).